nubia Z17 mini goes official with dual-rear cameras and 6GB RAM - AndroGuider | One Stop For The Techy You! Following nubia M2, ZTE's sub-brand nubia is launching another dual-camera toting smartphone called nubia Z17 mini in home market of China. It sports a thin 7.45mm unibody metal design and comes with dual-rear cameras, 6GB RAM and a fingerprint scanner. The nubia Z17 mini is equipped with dual 13MP camera at the back, one with monochrome lens and the other with RGB lens. The dual rear cameras feature Sony IMX258 sensor, f/2.2 aperture, dual-tone LED flash, OIS and 4K video recording capabilities. On the front there's 16MP f/2.0 80-degree wide-angle camera. Coming to the other specification, the nubia Z17 mini features 5.2-inch Full HD 2.5D curved glass display and comes in two variants - Snapdragon 652/4GB RAM and Snapdragon 653/6GB RAM, with 64GB storage, which can be expanded via microSD card. Connectivity options include hybrid-dual SIM slots, 4G LTE, VoLTE, WiFi 802.11ac, Bluetooth 4.1, GPS and NFC. It runs Android Marshmallow based nubia UI 4.0 and is fueled by 2950mAh battery supported by fast charging. 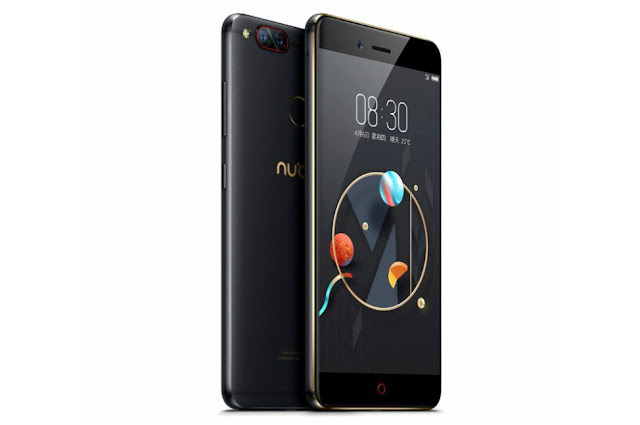 The nubia Z17 mini is priced at CNY 1699 ($246 | Rs. 16,000) for the 4GB RAM/Snapdragon 625 model, and costs CNY 1999 ($289 | Rs. 19,000). It is now available for pre-order in China and will go on sale from April 13 in Elegant Black, Black w/ Gold, Champagne Gold and Red hues. Considering the price, the nubia Z17 mini is the most cheapest 6GB RAM phone available in the market.